Patients undergoing operations while awake will control their own levels of anxiety thanks to new research. At the touch of a button, patients will administer doses of intravenous sedation whenever they feel nervous on the operating table. The aim is to allow patients to individualise their experience of surgery by putting them in control of how awake or sleepy they want to be. The technology may also allow for swifter recovery times by reducing exposure to the drug’s side effects. The technology would make it impossible for patients to under or overdose themselves as minimum and maximum limits are set. An anaesthetist would remain in the operating theatre observing the patient at all times. The project is led by Nottingham University Hospitals NHS Trust in collaboration with product design researchers at Nottingham Trent University (NTU). 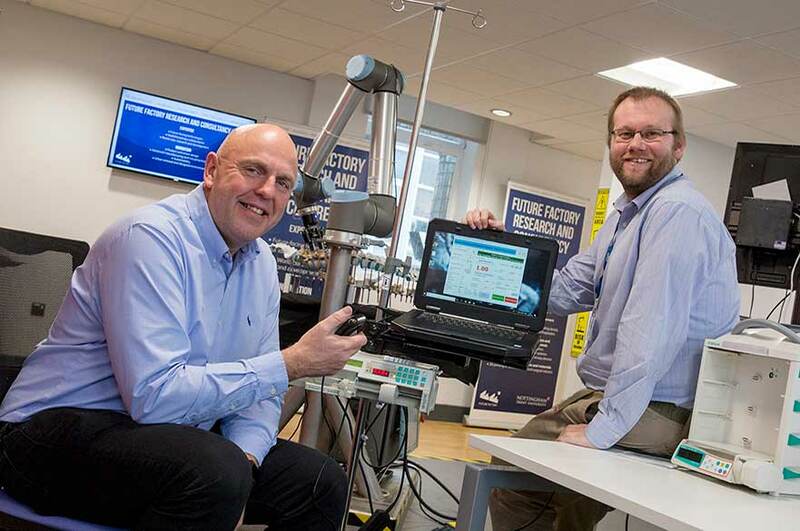 NTU was awarded more than £376,000 by National Institute for Health Research (NIHR) to develop the hardware and software for the project. It could make a huge difference to the experience patients receive while also creating efficiencies for the NHS. Dr David Hewson, Anaesthetic Registrar at Nottingham University Hospitals NHS Trust. Ahead of the development of the technology, 25 patients at Nottingham University Hospitals NHS Trust took part in an initial study of the technique. Results showed these patients were able to choose how awake or sleepy to be for surgery and needed less propofol than if an anaesthetist alone had been in control of the sedation. Different patients also took the drug at different points of their operation. People who felt anxious before the operation tended to use more at the start. Those who felt relaxed at the beginning tended to ask for more propofol later on, say the researchers. The research has focussed on orthopaedic operations, such as for knee and hip replacements. Dr David Hewson, Anaesthetic Registrar at Nottingham University Hospitals NHS Trust, said: “In the future this technology could be widened out to other forms of medical or surgical procedure which require patients to be awake. This research has been funded by an award from the National Institute for Health Research (NIHR) Invention for Innovation (i4i) Programme, which supports the preclinical and clinical development of innovative medical technologies. The Trust’s annual turnover is £940 million. We have approximately 1,700 beds (87 wards). In partnership with The University of Nottingham we host a Biomedical Research Centre carrying out vital research into hearing, digestive diseases, respiratory, musculoskeletal disease, mental health and imaging. We are part of the London 2012 Olympic legacy and offer services at the National Centre for Sport and Exercise Medicine - East Midlands, based at Loughborough University.